The 5/8" high quality and heavy duty polyester straps are great for making crafts, lanyards, dog leash, handbag or purse straps. We keep 14 colors of genuine color straps in stock can be shipped immediately. 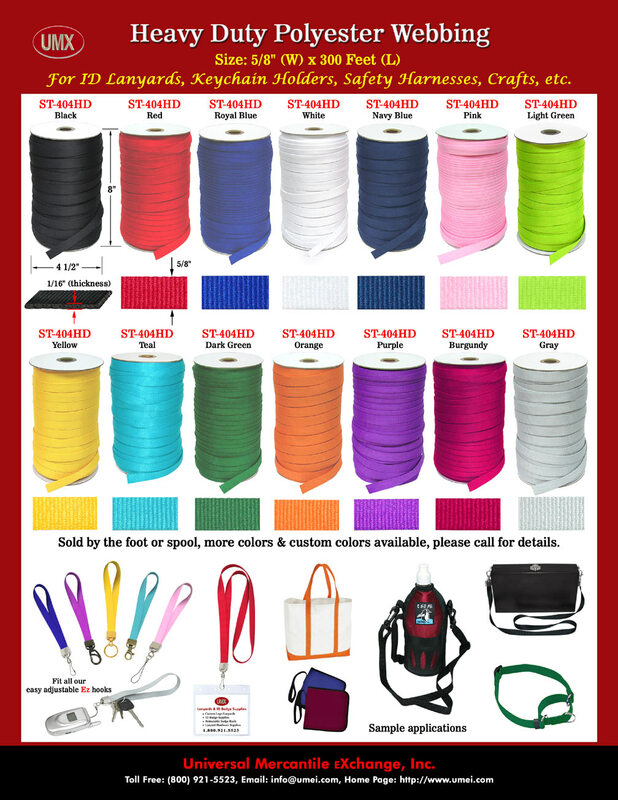 Only a small quantity of minimum order are required for custom PMS color straps. Just send us your PMS number or fabric swaps, we can dye to match your fabric colors. The straps are sold by the foot or by spool. You are viewing Lanyards > Making > Genuine Color 5/8" Flat Polyester Straps For Making Crafts, Lanyards, Dog Leash, Purse or handbag Straps.